The horrific night club fire leaves lives and relationships forever scarred. As the smoke clears, survivors struggle to rebuild. At the same time, the race to save Derek Mancini and to bring his shooter to justice begins - while the search to identify the new Mancini brother continues. Meanwhile, a birthday celebration propels lives in dangerous directions. While some work to end the Mancini-Ciancio feud, others use it as motivation to put a life-threatening plan in place. As rescue crews search for survivors at the site of the fiery plane crash, Logan Pryce is rushed to the hospital in an attempt to save his life. At the same time, Dr. Mateo Martinez works to save the lives of two men and Joyelle Mancini copes with the shocking results of her baby's paternity test. While the Mancini and Ciancio families mourn the loss of family members, the past and present collide with the arrival of Camille Ciancio, a woman bent on revenge, who wastes no time implementing her plan to destroy the Mancini family once and for all. While divers search underwater for victims of the yacht shootings, rescue crews search the rubble of the hotel explosion for survivors and detectives search for Cole O'Brien and Joyelle Mancini's newborn daughter. Meanwhile, Keith Colgan rushes Michael Martinez to St. Joseph Hospital in a desperate attempt to save his life. Everything culminates in a costume party that brings about two marriage proposals, a frantic rescue mission, sinister schemes, a deadly crash, and a shocking revelation that rocks Boystown. In the aftermath of the warehouse shootings, lives are forever changed, and relationships are forever altered. As the families of the victims work to put the horrific event behind them, they find themselves at the center of an even larger plan for revenge. Ciancio twins Marco and Gino are as handsome as they are powerful - and they arrive in Boystown with a scheme rooted in the bad history between the Ciancio and Mancini families. The mission to rescue Cole O’Brien from the captivity of a deranged fan takes a tragic turn as several people are rushed to the hospital. At the same time, emergency crews make a desperate attempt to save Gino Ciancio and Justin Mancini, who are trapped in their car at the bottom of Lake Michigan. And Dustin Mitchell’s return to Chicago places him at the center of a brutal battle that leaves a dear friend fighting for his life. One of the most diverse and lively neighborhoods in the country, Chicago's Boystown has something for everyone. So it's no wonder that Jesse Morgan and Cole O'Brien chose to live there upon graduating from college. 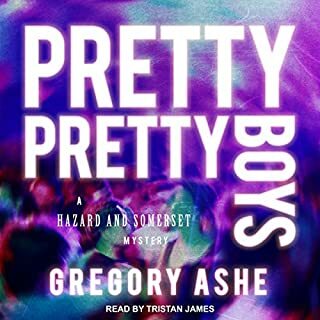 Ready to begin the next phase of their lives in an exciting new city, Jesse and Cole quickly find themselves at the center of a new group of friends. It's a race against time to save those caught in the New Year's Eve explosion. The survivors may not be the lucky ones as they struggle to restore normalcy to their lives. As the smoke clears, families are torn apart and lives are permanently altered. Even more dangerous than the bomb, the Mancini-Ciancio feud heats up as family members fight for control and survival. At the same time, Jesse Morgan faces the fallout from his plan to break up his mother and her husband, Keith Colgan, works to keep his past from destroying his future, Rachel Carson begins a plan that may have deadly consequences, and the search for the fourth Mancini brother reveals secrets that threaten to tear relationships apart forever.